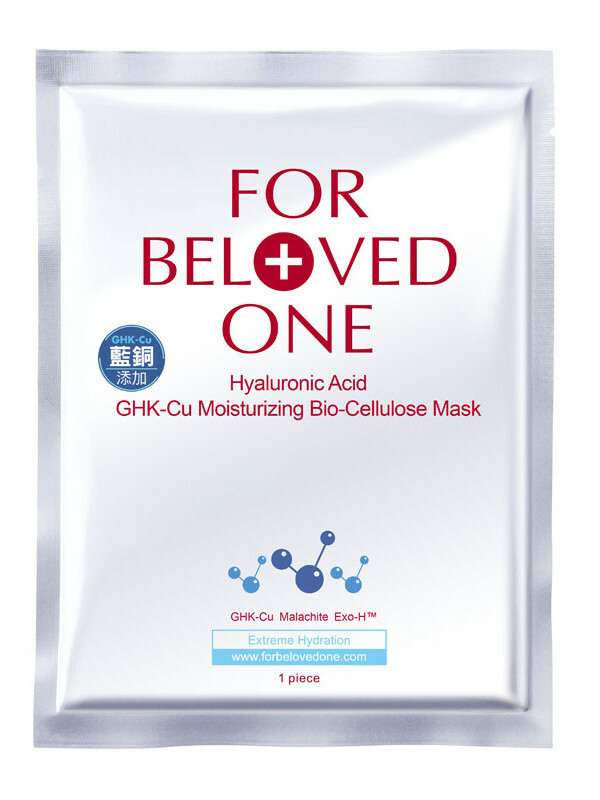 FOR BELOVED ONE is one of Asia’s leading cosmeceutical skincare brand, and recently they have introduced their HYALURONIC ACID GHK-Cu MOISTURIZING BIO-CELLULOSE MASK ($63.00 – 3pcs/box), which have been favoured by artists and stylists. This is a hydrating and moisturizing mask which contains copper peptide GHK-Cu that locks in the moisture and revitalize the skin. 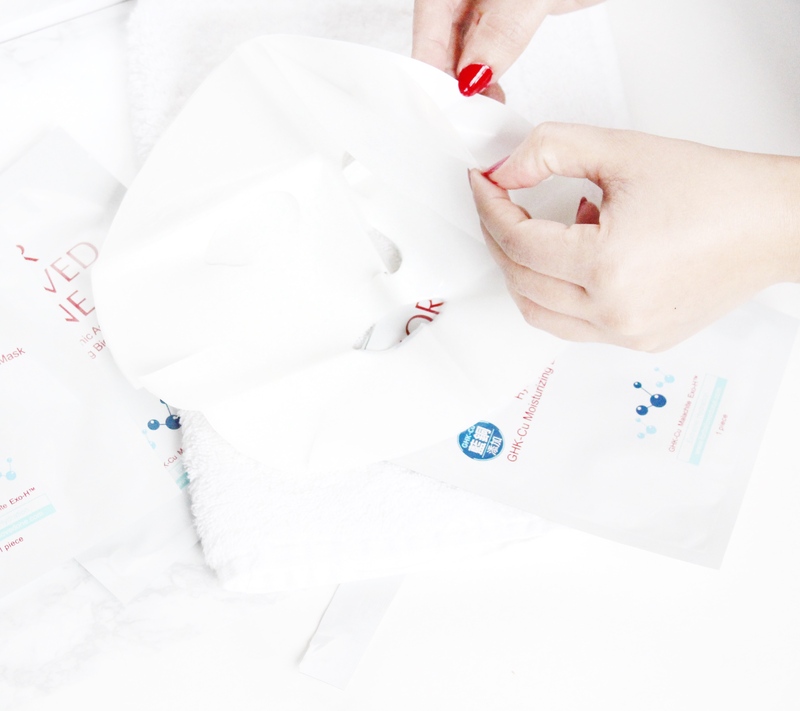 These are hydrating sheet masks which targets ones with dry and sensitive skin as well as it is suitable for use on post-operation skin for skin repair as well which I was very impressed by. HYALURONIC ACID GHK-Cu MOISTURIZING BIO-CELLULOSE MASK come in individually sealed packets, inside there are elastic and transparent bio-cellulose mask in the middle of two sheets, these are shaped just to fit your face and are designed to be placed on your face frame for 15-20 minutes, there is no need to rinse and you can continue with your regular skin care procedure. 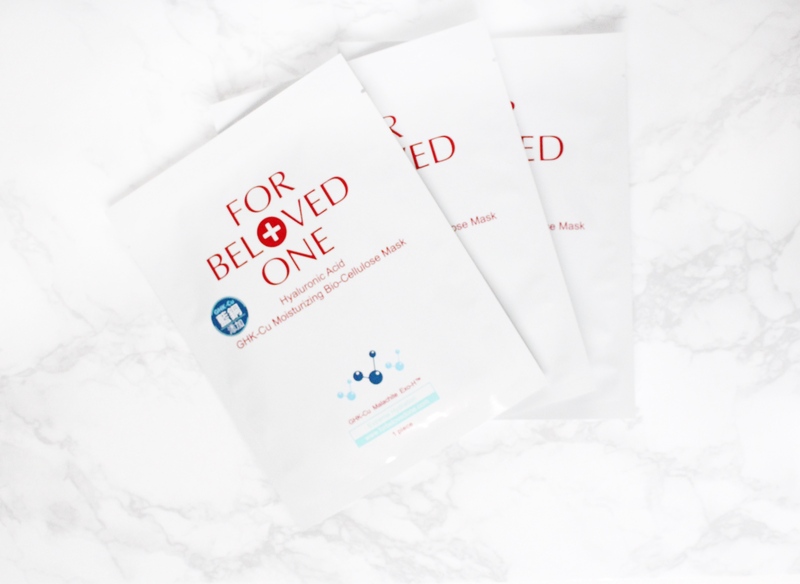 This sheets masks will hydrate, re-energize and restore as well as it sooth lines. I personally use hydrating over night masks, since so far I don’t have much concerns on my skin regarding wrinkles and fine lines but glowing complexion is always very dreamy. This was my first time using a sheet mask and I thought it was a perfect time since the weather is supper dry and I needed that extra hydration for my skin. The packets are have a convenient peel-back corner making them easy to open and I would recommend opening them on a towel and on flat surface to keep things mess free. I don’t think any thing felt so good on my face before – I left it for 10 minutes since I know I have a very sensitive skin and I didn’t want to over do it. The skin feels super hydrating and soft after use, just like baby’s skin. I loved how it is packaged conveniently to easily slip into your on the go bag especially while you’re travelling. Overall a great sheet mask to hydrate and energize the skin instantly. It’s perfect for those with dry and sensitive skin. You can find the mask at T&T and online at YesStyle.ca. FOR BELOVED ONE is one of official sponsor for this months giveaway. They nicely sent out one for me to try out and on lucky winner will win a full pack of HYALURONIC ACID GHK-Cu MOISTURIZING BIO-CELLULOSE MASK to try as well. How to participate: follow MillionIdole and FOR BELOVED ONE on Instagram, like – tag 5 friends in comment section. The giveaway is open only to Canadian residents only who are 18 years or older. Terms and Conditions: No purchase necessary to enter. A purchase does not increase your chances of winning. Entry begins 12/23/16 at 12:00AM EST and ends 12/27/16 at 11:59PM EST. Winners will be notified by DM to their Instagram account. Prizes will be mailed within 30 days of end of giveaway. Many thanks to FOR BELOVED ONE team for Sponsoring the Giveaway to Million Idol’s readers and followers.